On purchases over £500 Nexus gives you the option of having a totally interest FREE 6, 9 & 12 month payment plan All payment plans are subject to an initial 10% deposit. 1.Simply add the products you wish to purchase to your basket. 2.Once finished shopping, proceed to the checkout. 3. 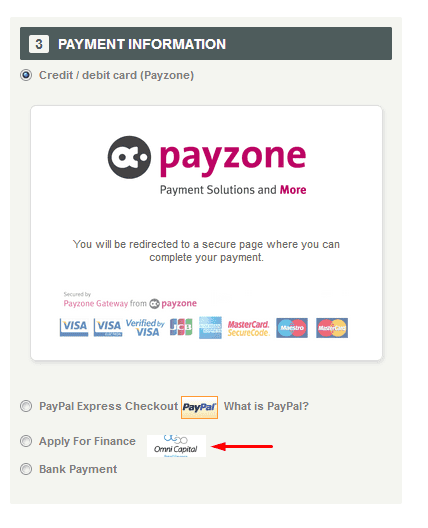 You will be presented with your payment options - Credit/Debit Card, Paypal etc... or ) 0% Finance. Selecting 0% Finance will take you into a quick easy online application, on completion you will be provided with an instant decision. You can complete the whole process online, there is no paperwork or Physical signature required. You can complete the whole process online, there is no paperwork or Physical signature required. A fully paperless process, a Quick & easy online application with instant decision. On acceptance the process is completed with eSignature , meaning no paperwork to fill in, post or scan. Nexus has always strived to help its customers by keeping a vast product range at prices as low as possible. Nexus is pleased to introduce a brand new range of credit facilities to increase the payment options to our customers. Maybe you are renovating, moving home or your simply looking for something new. In today's financial climate not everyone will have the disposable income to make these purchases all in one go. This is where our credit facilities can be a big help, we have a range of different options available for you to choose from. Our credit options allow you to choose from several variants to make sure you receive a package that is right for you. If your application is approved you will be emailed notification. You would then need to call us to make the deposit payment, Once this has been taken your order will then be processed. We will then contact you once your goods are ready for dispatch and this is the time that your finance agreement starts. You can settle your agreement early at any time during the period without penalty by contacting the finance company directly and asking for a settlement amount. You must be in full-time employment unless retired or living with a spouse in full-time employment. 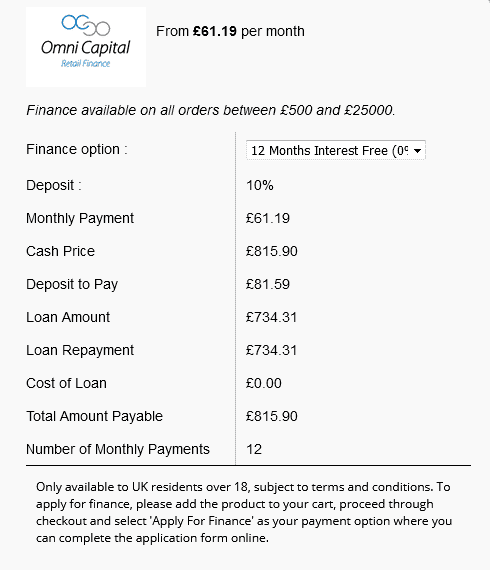 Credit is available on all purchases where the overall order value is over £500 Choose from 6, 9 or 12 month repayment periods. Spread the cost to minimise your monthly payments. One-stop shopping- no need to go to a bank to secure funding. Keep cash for day to day expenses. Fixed repayments? Your payments are fixed for the duration of the agreement allowing you to budget more effectively.